Baroness Tessa Jowell raises important discussion about brain cancer treatment and access to clinical trials in the UK. 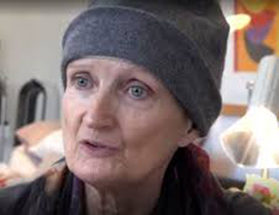 Baroness Jowell, former Labour Minister, who was diagnosed with an aggressive type of brain tumour called Glioblastoma last year, is leading a debate at the House of Lords tomorrow (Thursday 25 January). She has called for a discussion on Evaluating innovative cancer treatments, making them available through the NHS and raising life expectancy for cancer patients. In a moving interview on Radio 4’s Today Programme she describes her frustration at not being able to access all the innovative treatments being trialled in Europe and the US. Professor Richard Gilbertson, Cancer Research UK’s brain tumour expert and Director of the CRUK Cambridge Centre, said: “Brain tumours are aggressive, difficult to treat and we urgently need new approaches to tackling them. Cancer Research UK has made transforming brain tumour research a priority to help more people with the disease, which has devastatingly low survival rates. We need to make a real step change in our approach and it’s by focusing on all aspects of the research pipeline, from lab research through to clinical trials, that we hope to make a real difference for patients today and in the future. Colin Watts, consultant neurosurgeon at Addenbrooke’s Hospital and co-lead of the CRUK Cambridge Centre Neuro-oncology Programme was also interviewed on the Today Programme. The neurosurgeon and his team are conducting ambitious research in Cambridge that could remove all traces of brain tumours during surgery. Nests of cancer cells can be hidden among the normal brain tissue and it can be tricky to tell the difference between cancer cells and healthy brain cells. Dr Watts is changing that by trialling a drug that makes brain cancer cells glow bright pink, helping surgeons remove all of the tumour, stopping the disease returning. Dr Watts said: “One of the difficulties in brain surgery is spotting the difference between cancer cells and healthy cells, which means some cancer cells can be missed. Glioblastoma is the most aggressive form of adult brain tumour. Unfortunately with current treatment methods, average survival time is just 14 months. Clinical trials like Dr Watts’ are urgently needed to bring new treatments to people with this disease. 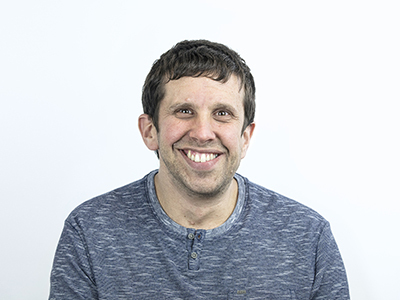 A video produced to raise awareness of the research for the Stand Up To Cancer campaign, features patient Christopher Revens, who’s from Bury St Edmunds. The 34-year-old was found to have a brain tumour in July 2016. “Talking was a bit tricky at first and the reflexes on my right side were slow but after a few days of steroids I regained full function. I’m now back at work and I feel absolutely fine – it’s hard to believe there’s been anything wrong with me! Scans after the operation showed no sign of a tumour and he has fully recovered. Christopher is due to have another scan later this year to monitor his condition. As well as innovative clinical trials, Cambridge researchers are also studying brain tumour cells in the laboratory. Dr Harry Bulstrode, from the University of Cambridge is in the earliest stages of potentially revolutionary research exploring whether the Zika virus can destroy brain cancer cells. He has received a Cancer Research UK Pioneer Award to test tumour cells grown in the laboratory and in mice to investigate how the Zika virus targets and attacks them. Dr Harry Bulstrode said: “Zika virus infection in babies and children is a major global health concern, and the focus has been to discover more about the virus to find new possible treatments. We’re taking a different approach, and want to use these new insights to see if the virus can be unleashed against one of the hardest to treat cancers.